We will be closed on Thanksgiving, Christmas, and New Years. Young children and their understanding of the physical and social world are dramatically expanding as they learn and absorb all the world has to offer. 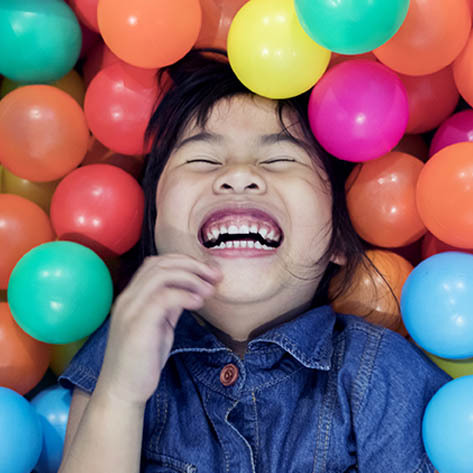 Play is the vessel in which imagination and creativity can be expressed. 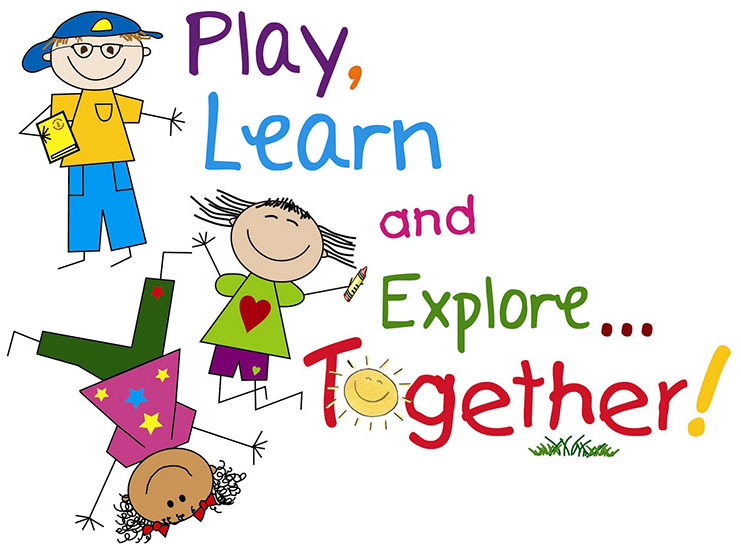 It fosters language development, social skills, creativity, imagination, and cognitive thinking. 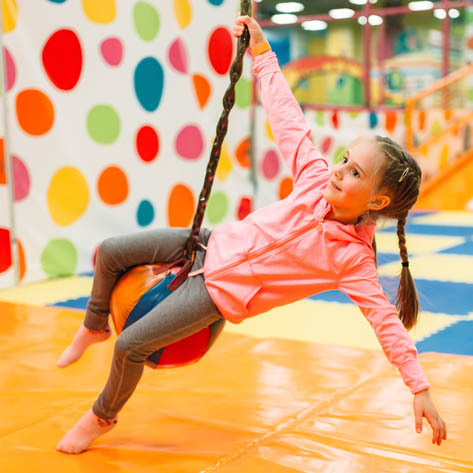 Here at KidTopia, children are encouraged to explore to their fullest potential! Socks are required on the play structure. Admission price includes a pair of socks for the child. $14 per child. $10/child under 1. Adults & Infants who can’t crawl are free. Unlimited Playtime per visit. No re-entry privileges. Admission price includes a pair of socks for the child. 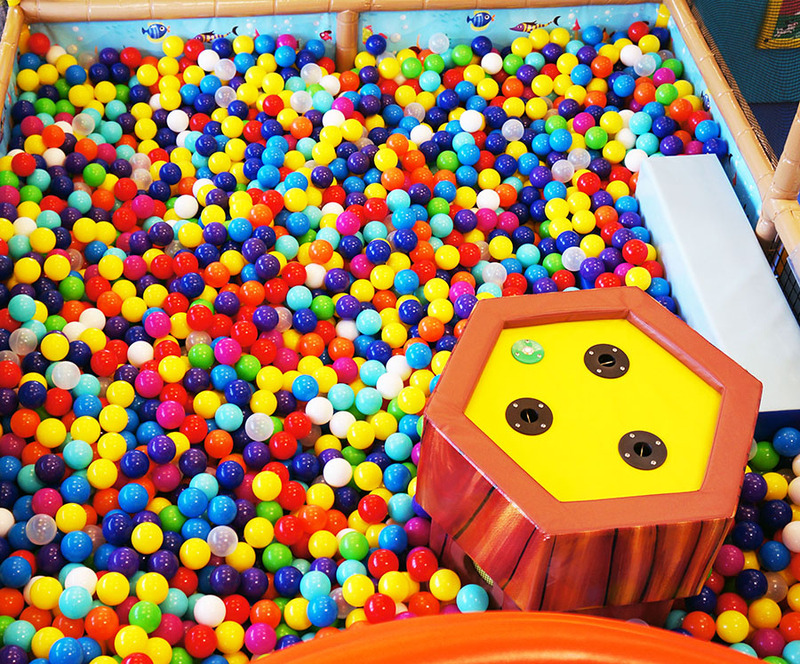 $14 per child for the first 2 hours + $2 per each additional hour. Admission price includes a pair of socks for the child. $10/child under 1 for the first 2 hours + $2 per each additional hour.Infants who can’t crawl are free. Admission price includes a pair of socks for the child. Buy 10 admissions up front and get one admission for free. Valid Monday to Friday Only. Admission price includes a pair of socks for the child. Does not include Holidays. 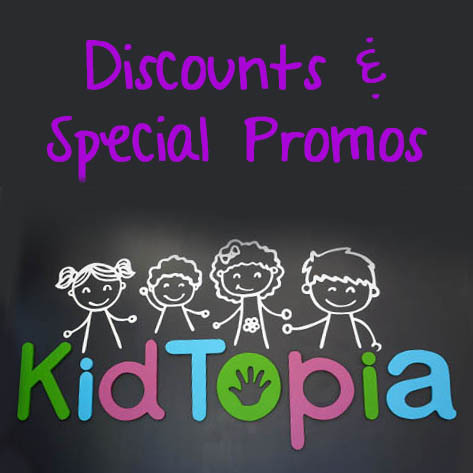 10% Discount with Military ID or play dates of 6 or more kids. Does not include birthday parties.